Talks, workshops, guided tours, film showings and more you’ll find plenty of events to keep you inspired at Swansea Museum. Workshops: All workshops are FREE unless othewise stated children must be accompanied by a responsible adult. For further details please contact the museum. Copper Veins – Music from Earth to I ndustry. 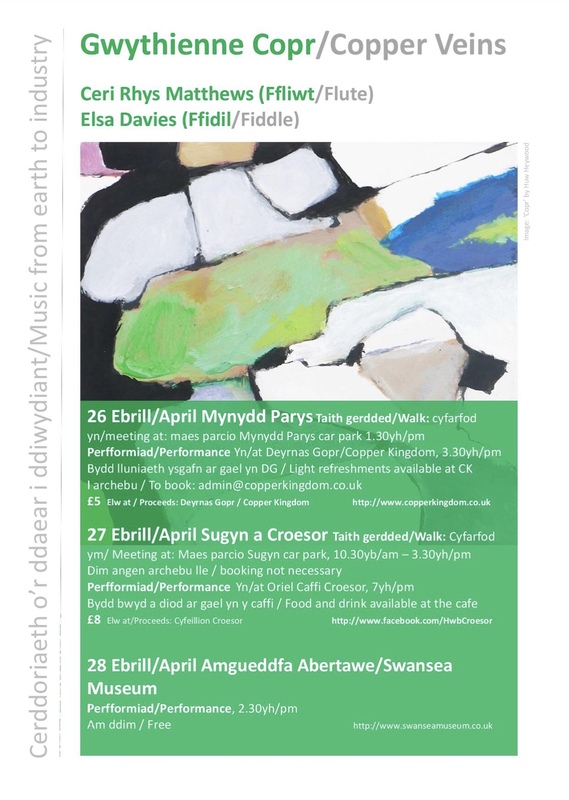 Join Ceri Rhys Matthews and Elsa Davies for a magical performance inspired by the legacy of the copper industry in our Oriel Hanes Abertawe gallery.